The House of Joseph in Judah? Inconceivable! Or is It? This “Lehi,” it seems, was of the tribe of Joseph, and dwelt at Jerusalem. The tribe of Joseph at Jerusalem! Go, study scripture-geography, ye ignorant fellows, before you send out another imposition, and make no more such foolish blunders! Prior to departing for the desert, Jerusalem was where Lehi had “dwelt … all his days,” according to his son Nephi (1 Nephi 1:4). Lehi, therefore, not only lived in Jerusalem the year Zedekiah took the throne, but had grown up there, suggesting his family had settled there before he was born. Lehi, however, was not a “Jew” (or, more accurately for that time-period, “Judahite”) in the strict sense of the word. He was, in fact, a descendant of Joseph, as was a Jerusalem official, Laban, who plays a prominent role in Nephi’s narratives set in Jerusalem itself (see 1 Nephi 5:14, 16). Another man from Jerusalem, Ishmael, who ultimately accompanies Lehi into the desert wilderness of Arabia, was also from the house of Joseph, according to Joseph Smith, who had access to now lost documents relating to Lehi and his companions. Since most of the other characters mentioned are Lehi’s and Ishmael’s family members, essentially every major character in the text turns out to be from a Northern tribe, and specifically from the house of Joseph. Not only are they Northerners, but they appear to be wealthy and successful, well-established elites in Jerusalem. Laban was, after all, a Jerusalem official, meanwhile Lehi had land and substantive wealth, which was left behind when he fled (see 1 Nephi 3:16). Though not directly reported in the Bible, a significant number of Israelites appear to have fled the doomed northern kingdom and migrated as refugees to Judah in the south, settling in Jerusalem and other cities of the southern kingdom. … This refugee movement has been demonstrated by archaeologists who excavated at Judean sites during the 1970s. They discerned unusually large population increases at Jerusalem and other locations from levels dating to the last quarter of the eighth century bc—the exact period of the Assyrian attacks on the northern kingdom. These migrations, according to Chadwick, probably lasted until about 715 bc. Chadwick goes on to explain that these refugees settled in a region known as the Mishneh. “The Mishneh was a second, or additional, part of ancient Jerusalem, which began essentially as a refugee camp for the arrivals from the north after 724 bc but was eventually considered part of the city of Jerusalem proper.” When Hezekiah fortified the city in preparation for the Judah’s own battle with the Assyrians, the walls were expanded to include the Mishneh as part of the city. These Northern refugees thus settled down and became integrated into the social and economic systems in Jerusalem. Although the Mishneh area had begun as a refugee settlement in the eighth century bc … the nature of the Mishneh changed in the eighty years between the completion of Hezekiah’s wall in 701 bc and Josiah’s Passover festival of 622 bc…. By then the Mishneh had evolved into a rather upscale neighborhood, as evidenced by the fact that Huldah the prophetess and her husband, Shallum, the “keeper of the wardrobe” (i.e., the royal clothier), lived there (see 2 Kings 22:14, but beware that Mishneh is curiously translated as “college”). Lehi, Laban, and Ishmael lived only a couple of generations after the refugees from the north had come and settled in the Mishneh. They were likely young men during the reign of Josiah, and could have capitalized on the expanding opportunities made available as that part of town transformed. In any event, the image painted in 1 Nephi of wealthy and elite persons from the house of Joseph living in Jerusalem in the 7th century bc appears to be validated. Origen Bacheler, Mormonism Exposed Internally and Externally (New York, 1838), 11. “Discourse By Apostle Erastus Snow,” Journal of Discourses 23: 184. Jeffrey R. Chadwick, “Lehi’s House at Jerusalem and the Land of his Inheritance,” in Glimpses of Lehi’s Jerusalem, ed. John W. Welch, David Rolph Seely, and Jo Ann H. Seely (Provo, Utah: FARMS, 2004), 90–91. Chadwick, “Lehi’s House at Jerusalem,” 93. Chadwick, “Lehi’s House at Jerusalem,” 121. I don't know if my last comment posted, I lost my internet connection when I went to publish my comment, so sorry if this is a repeat. There is one interesting scenario that comes out of this. Because Lehi was from the northern tribes he may have used and been familiar with a different set of scriptures. The Northern Kingdom may have had different prophets and books in their set of scared scriptures. Thus when Lehi was commanded to go back to Jerusalem to get the scriptures he was commanded to go get the set that Laban had (Laban was relative, and thus also from the northern tribes). This may explain why the Nephites had the writings of Neum, Zenos, Zenock and Ezias and we do not since our version of the Old Testament comes from the records of the Southern Kingdom. I thought about this possibility after reading an article on Mormon Interpreter by Taylor Halverson called "Who Were the Samaritans?" (Link). I also wrote about it on my own blog (Link), but at the time I didn't know about the article by Jeffery Chadwick, so thanks for sharing this. I agree, and think that they were using a "northern source" for their scriptural tradition. In addition to your comments, note the additional material on Joseph (presented as having been written by Joseph) in 2 Nephi 3. That is the kind of tradition that might be preserved among the tribe of Joseph itself, but not in Judah (or perhaps any of the other tribes). Also, note who the only recognizable prophets mentioned are: Jeremiah and Isaiah. Lehi was contemporary to Jeremiah, and his writings were probably quite recent updates on the brass plates. Isaiah would have been the contemporary prophet when the refugees came into the Southern Kingdom. All the other prophets, I suspect, were indeed Northern Kingdom prophets. In fact, I would even venture the hypothesis that Zenos and Zenock (who I think the BoM indicates were martyred, but can't remember off the top of my head) were prophets when Elijah was, and were among those killed in the purge ordered by Ahaz(?) and Jezebel. I know there is a reference to suggest that Zenock and Zenos were consdered ancetors by the Book of Mormon peoples (somewhere in 3 Nephi), so they were probably from the tribe of Joseph as well. Also, if you give any credence to the documentary hypothesis (that the biblical texts were compiled from multiple sources), then it interesting that some sources (such as the E source) are believed to represent more northern traditions and theology. John Sorenson has argued that the Book of Mormon shows greater affinity toward these northern-based traditions than to the Southern ones. This could be another indication that the brass plates were a set of scriptures from the Northern tribes. One thing I just remembered hearing Grant Hardy (from UNC Asheville) mentioning, is that the Bible, both the Old and New Testaments, mentions the Davidic Covenant with some regularity. When Christ had his triumphal entry into Jerusalem it was patterned after Davidic prophecies, that is prophecies that dealt with the lineage of King David. 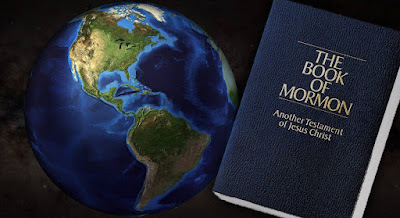 So while the New Testament deals with fulfillment of Davidic prophecies the Book of Mormon is notable silent when it comes to the Davidic Covenant. The Book of Mormon mentions covenants made with Adam, Noah, Moses, and Abraham, but it never mentions the Davidic Covenant in any form. As a matter of fact the only time the Book of Mormon mentions David is in Isaiah quotes or when Jacob uses David and Solomon as examples of what not to do. This would make sense if Lehi's ancestors came from the Northern Kingdom originally. They would have no special political or national attachment to the house of King David, and the writings of the prophets that they brought with them may not have mentioned the Davidic Covenant (at least not as much as the writings of the Southern Kingdom). It is possible that what was written about David and Solomon may have been less than flattering as opposed to what we have in Kings and Chronicles. The fact that the Davidic Covenant is never mentioned in the Book of Mormon is also notable considering that the descendants of Mulek were the logical inheritors of the Davidic kingly line. This fact may have been the source of some of the tension between the Nephites and the people of Zarahemla. This may also explain why the Kingmen kept trying to overthrow the government because they could claim to be the inheritors of the throne of David.